Just stopping in to say hello and wish everyone a Happy Halloween! I signed up for the HoBOOken 5K, which was on Saturday, over a month ago with friends. 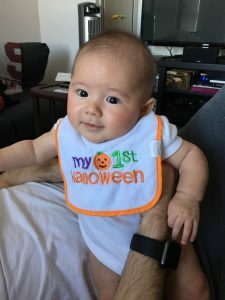 I haven’t run this race in years since it always falls on the weekend before the NYC Marathon but this year, I was in the spirit especially with a baby and my plans to likely not run the NYC Marathon (more to come on that). I was planning on dressing up as a fairy with a running skirt and wings and Josh and Charlotte (to be dressed as an elephant) were going to come out and cheer. However, when my friends couldn’t make it in for the race and Charlotte decided to take an extra long morning nap, I bailed on the race. I’m lame, I know. 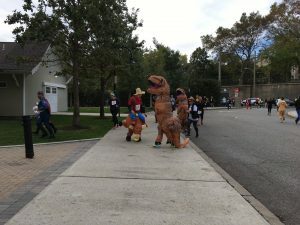 It didn’t seem exciting to dress up in costume to run a race by myself (even though I would be running with hundreds of other costume-wearing runners). So instead I went for a run without costume on the reverse route of the course. It was fun to get out there and see a lot of the runners dressed up. It was interesting to see that some of fastest runners weren’t even dressed up. 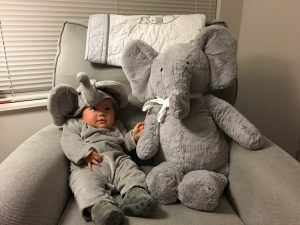 I guess Halloween costumes can really slow you down! The HoBOOken 5K is a great local race on a very flat course and unlike some of the smaller races in town, the roads are closed off to traffic which is nice. The race benefits the Hoboken Shelter so even though I’m lame, I’m glad my race registration went towards a good cause. Anyway, hope everyone is having a great Halloween! I’ll be checking in again later this week as one of my favorite days of the year is on Sunday – NYC Marathon day! And a belated congratulations who raced this weekend — Marine Corps Marathon, RnR Los Angeles, HoBOOken 5K, Poland Spring Marathon Kickoff 5-Miler, and more!